Rose Blossom Legacies: April is a GREAT Time to Become a Close To My Heart Consultant! 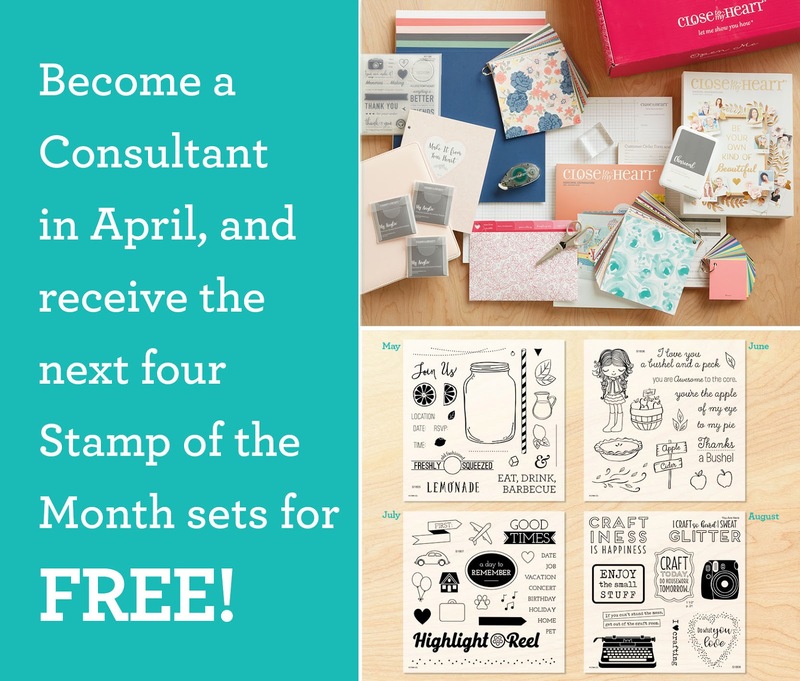 April is a GREAT Time to Become a Close To My Heart Consultant! What a special for New Consultants! When you join Close To My Heart in April, you will get all four of these FABULOUS stamps of the month! I can't even get all of these yet! These are the Stamps of the Month for May through August, and they will be showcased in Seasonal Expressions 2. That book won't be available to order from until May 1st, but as a New Consultant, you will be able to order from it the very day you sign up! You will receive a New Consultant kit valued at over $200 PLUS you receive an instant credit for $50 in CTMH Cash! With that you will be able to buy stamps, ink, paper, blocks, and so much more! 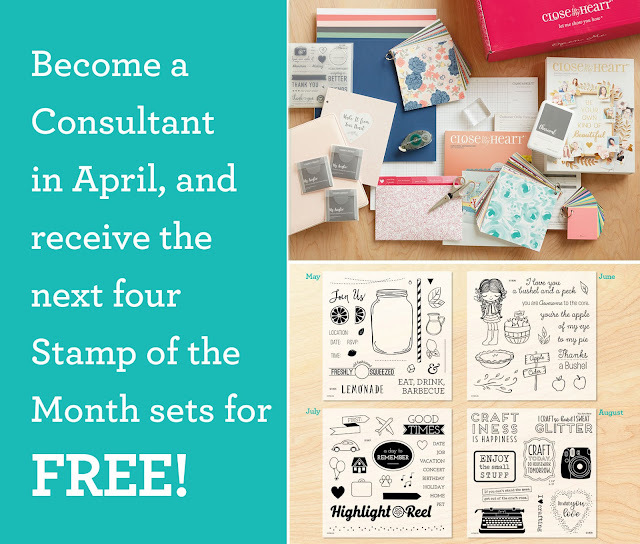 And if that weren't enough, you will get $80 in Stamps of the Month making your kit value over $325!! The cost of the kit is just $75, so I think that's an amazing deal! 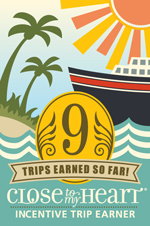 If you are a returning Consultant, we have something special for you, too! You can re-join Close To My Heart for just $50! You will not receive a kit, but you will receive the $50 CTMH Cash and all four Stamps of the Month! That's a great deal!! Watch my Facebook business page for a series of videos I will be doing on being a Consultant. I want you to get to know me! I know you would love being a part of Close To My Heart, and I know even more that you would love my Rose Blossom team! There's a whole lot of creativity and fun on my Facebook team page! CLICK HERE TO JOIN CLOSE TO MY HEART TODAY! !